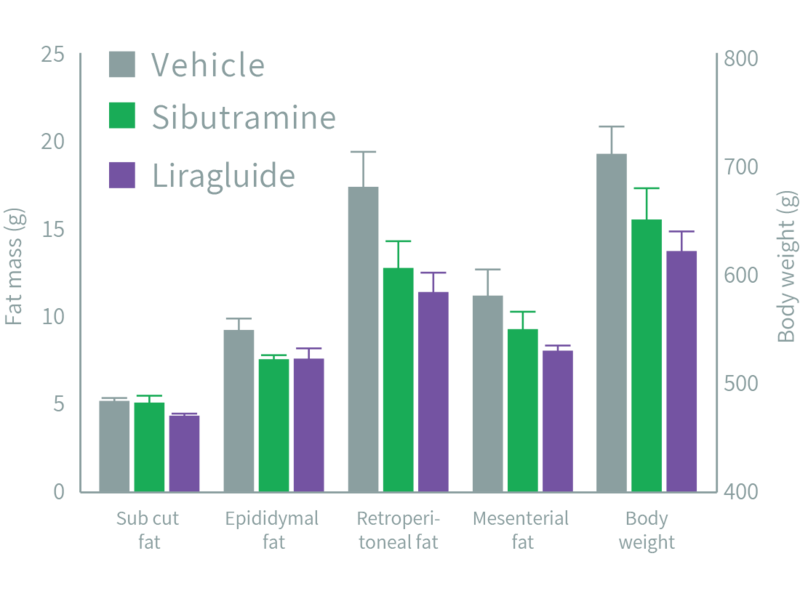 At Gubra, we have developed a diet-induced obesity rat model. 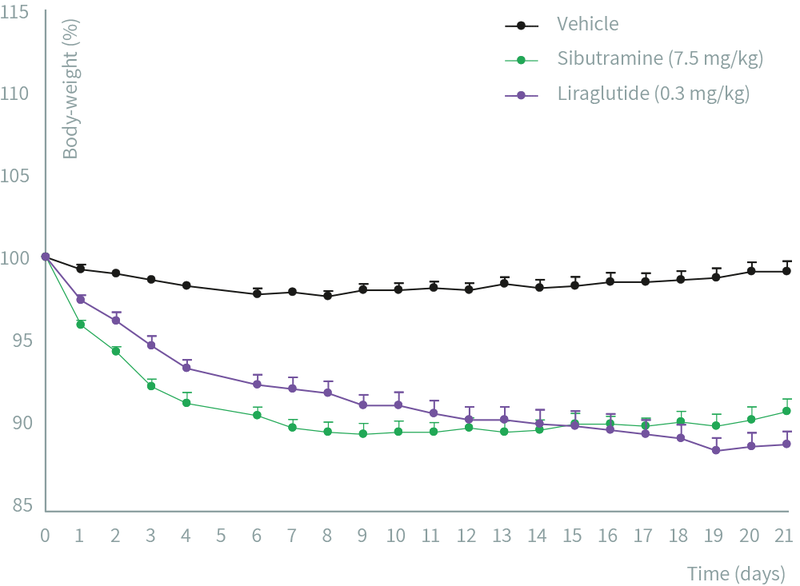 One of the hallmarks of our DIO rodent model is our ability to measure food preference changes. 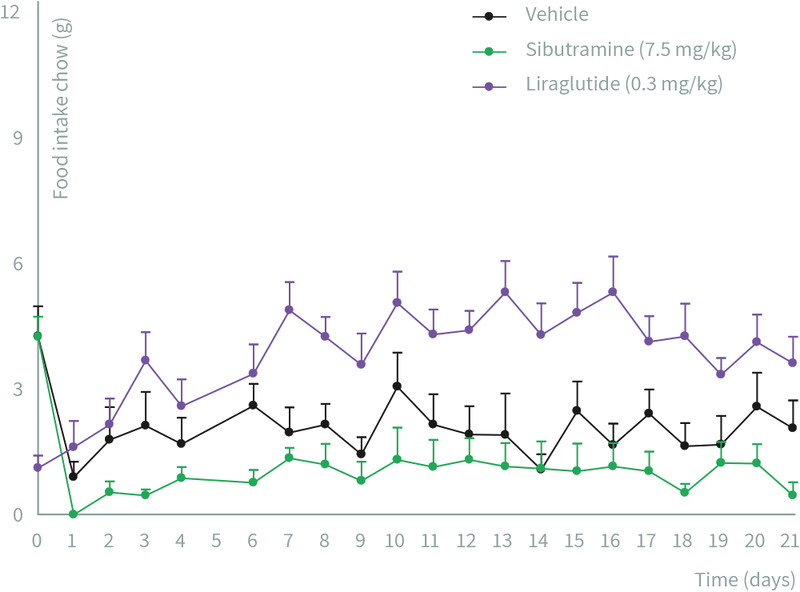 Note that liraglutide shifts food preference towards chow. 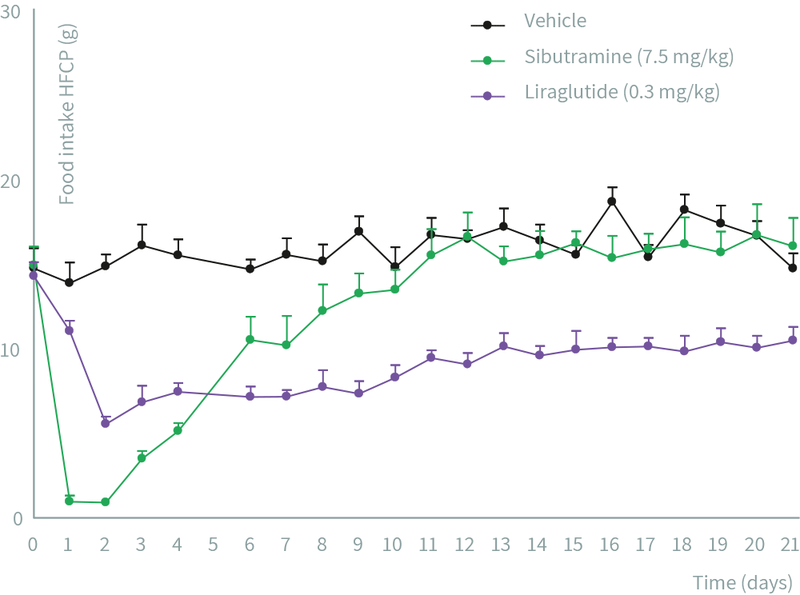 Read article: Effects of liraglutide and sibutramine on food intake, palatability, body weight and glucose tolerance in the gubra DIO-rats.